Two Tone Machines. Zero Prisoners. 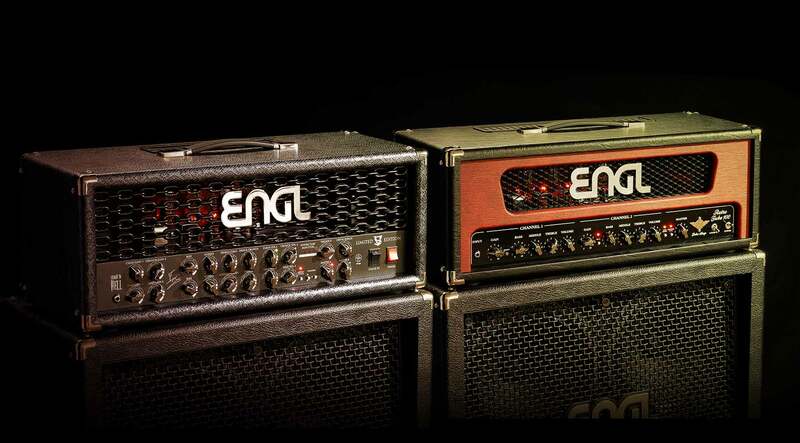 Delivering powerful guitar tone has been ENGL Amplifiers’ singular mission for over two decades. Bold clean textures, snarling slabs of chunk, punishing rhythm sounds, and intense, singing sustain, are why ENGL tube amps grace the stages of some of the biggest names in hard rock and metal. The ENGL Amplifier Bundle for UAD-2 hardware and Apollo interfaces gives you two of ENGL’s most popular guitar amps as a jaw-dropping plug-in bundle. Featuring the vintage-flavored E765 Retro Tube and the more modern-sounding E646 VS Limited Edition amps, this bundle also includes the super-handy Brainworx bx_tuner plug-in. Modeled on one of ENGL’s most versatile amps, the E765 Retro Tube plug-in melds dynamic, old school clean and crunch tones with aggressive distortion textures that can subtly enhance a track — or take it over! Perfectly capturing the original’s 100-watt EL34-power section, as well as its powerful EQ and organic touch-sensitivity, the E765 Retro Tube plug-in offers a full spectrum of tones — from pop to country, funk to hard rock. Designed in conjunction with metal virtuoso and Rage guitarist, Victor Smolski, Engl’s E646 VS Limited Edition amplifier has become a go-to amp for players who crave the ultimate in high-gain performance without sacrificing clarity and musicality. The E646 VS Limited Edition plug-in delivers the same pristine, modern-sounding clean tones, intense crunch, and over-the-top distortion capabilities as the hardware version, giving you a forward-looking tone machine that delivers everything from the sonically sublime, to the extreme. With the Engl Amplifier Plug-Ins Bundle, you’ll also receive Brainworx’s bx_tuner plug-in — an intuitive, easy-to-use, chromatic tuner that can be inserted into a channel or bus to keep your tracks sounding their best. The bx_tuner offers spot-on chromatic tuning with a couple of clever additions. Dim mode offers tuning with sound, albeit at a reduced level, while a Ballistics feature lets you customize the action of the tuning LEDs and how fast they track pitch changes. Everyone needs to be in tune. The bx_tuner allows you to do it elegantly and accurately within your workstation. Harnessing UA’s groundbreaking Unison technology, the ENGL E765 Retro Tube and E646 VS Limited Edition give you the impedance, gain staging, and circuit behaviors that have made these two amplifiers modern classics. I'm never back to another native plugins.